1967. Scamp-13A. 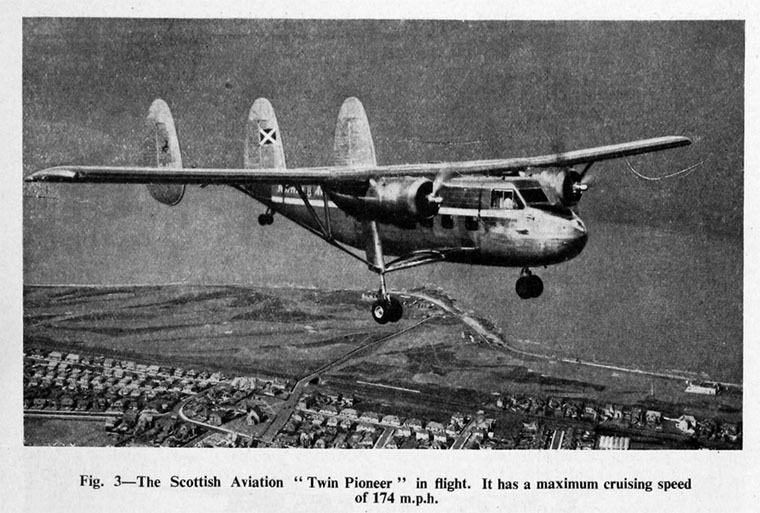 One of twelve made by Scottish Aviation. 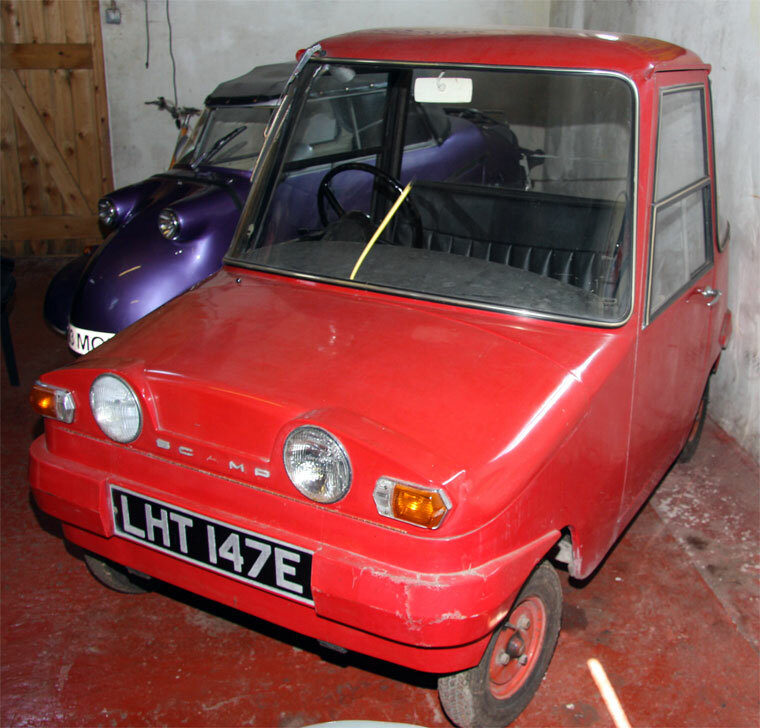 Exhibit at Myreton Motor Museum. 1966. Scamp. Exhibit at the National Museum of Flight. Sept 1953. 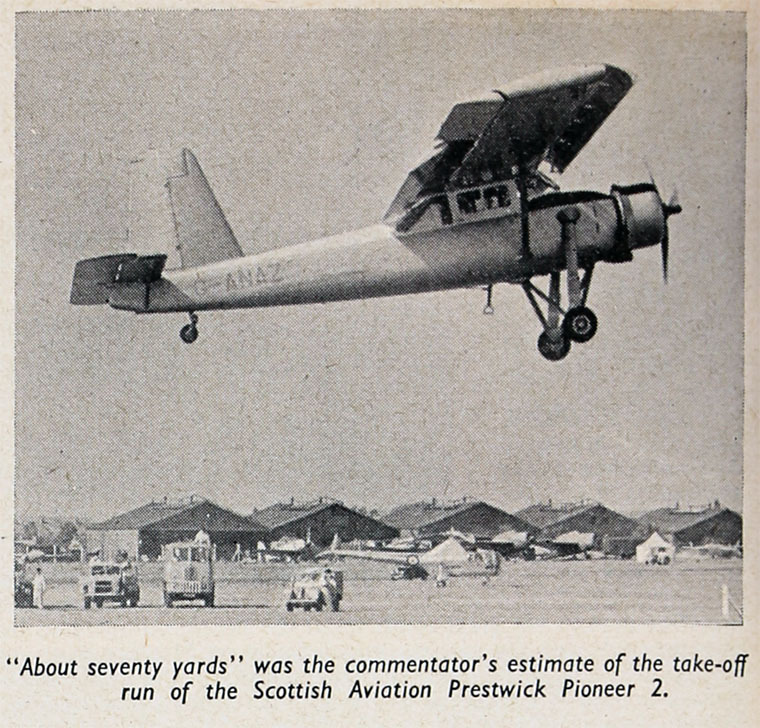 Prestwick Pioneer 2. 1959. 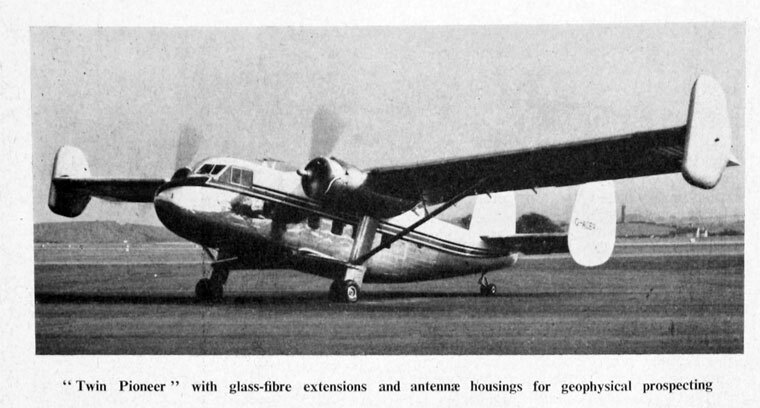 Twin Pioneer with Glass Fibre Extensions and Antennae Housings. 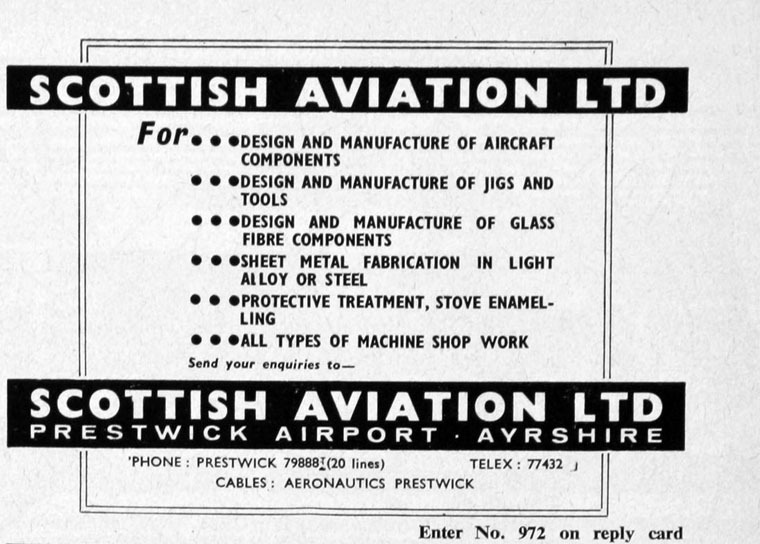 Scottish Aviation was a Scottish aircraft manufacturer, based at Prestwick Airport in South Ayrshire. 1935 Private company formed by the Douglas Douglas-Hamilton and David McIntyre as the Scottish College of Aviation Ltd.
1938 Originally a flying school operator it took on maintenance work. 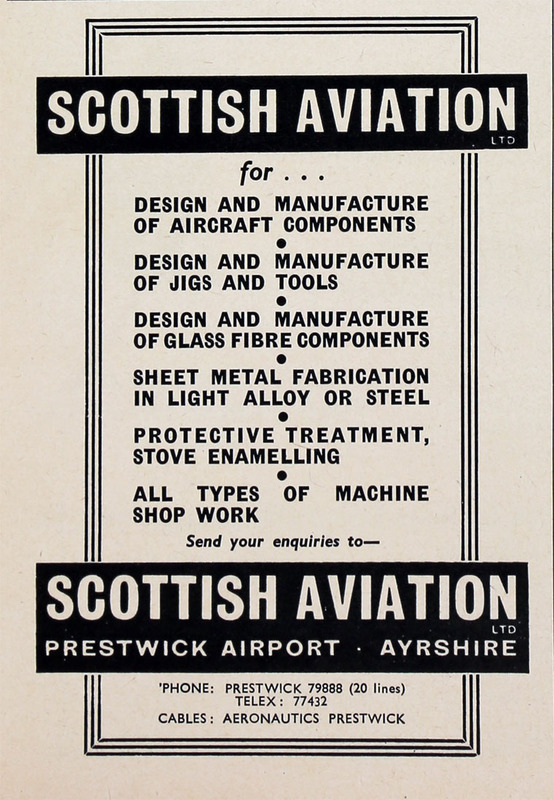 WWII Scottish Aviation was heavily involved in aircraft fitting for the war effort. This included maintenance and conversion of the Consolidated Liberator bomber. Post war the company built robust military STOL utility aircraft such as the Pioneer and larger Twin Pioneer. 1957 Announced the formation of a new department to co-ordinate sales, servicing and flight operations with Mr N. J. Capper as manager. Mr I. C. Read, for many years in charge of sales and service matters, was appointed sales manager, and Mr J. Logan became service manager. 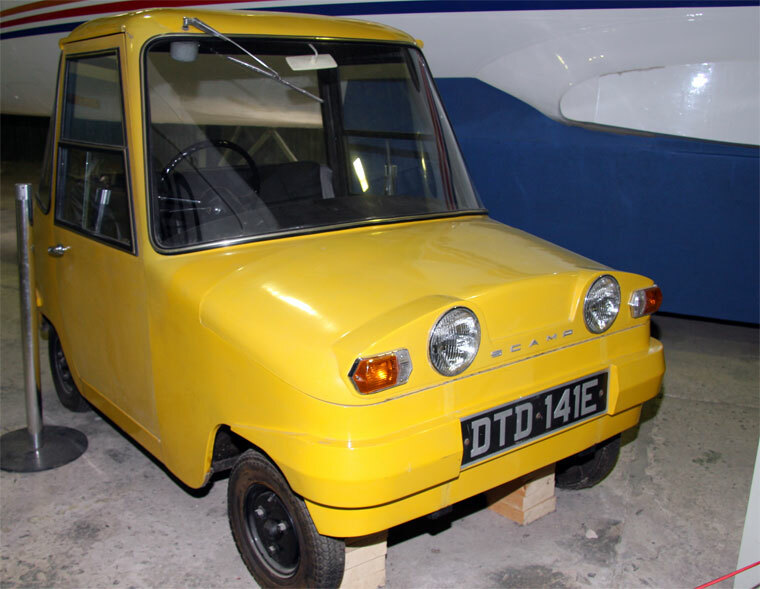 1969 Built Bulldog trainers after the demise of their original manufacturer, Beagle Aircraft Limited. 1970 After a financial crisis, the parent company was renamed as Laird Group; it also held 50 percent of the shipbuilding business (the government took on the other 50 percent), as well as the other activities of the former company. Post-1970 the company built some Jetstream turboprop transport and navigational training aircraft following the collapse of the Handley Page Aircraft Company (which designed the type). 1977 Scottish Aviation merged with the British Aircraft Corporation (BAC), Hawker Siddeley Aviation, and Hawker Siddeley Dynamics to form British Aerospace. Much of the former Scottish Aviation assets now belong to Spirit AeroSystems. This page was last edited on 27 November 2016, at 12:22.